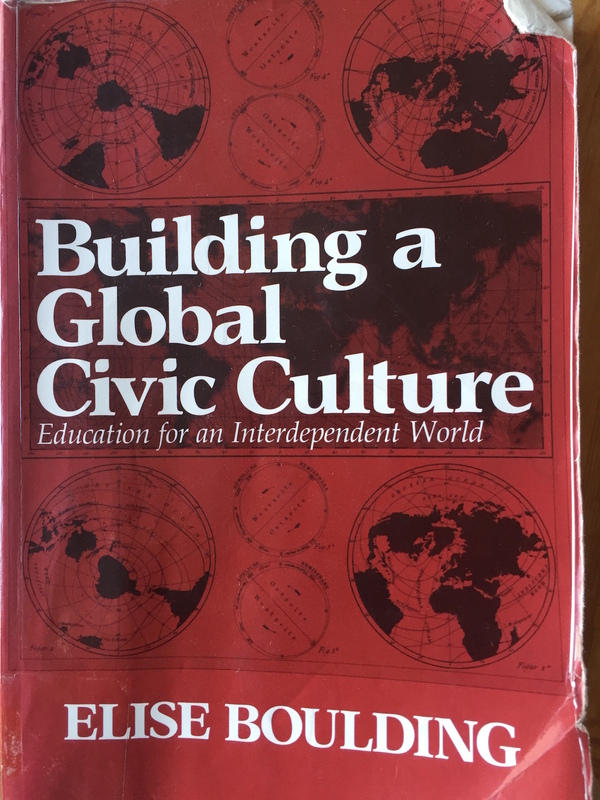 Boulding (1990) Building a Global Civic Culture: Education for an Interdependent World again…..
Imagining how events could be otherwise than they are is a hallmark freedom and power of human beings. Making social imagination work for us involves us in new concepts and principles, in new ways of using our minds to grasp complexities we do not yet comprehend. Thinking this way helps us construct new social realities both locally and globally. Social imagination is not merely for the sake of of academic knowing; it must include our feelings, and it must include our acting. IF it be true that Education can heal the State, then indeed we educators have a grave and anxious responsibility.